Parking garage with elevator to the apartment. Great location with view on the mountains. Quiet. 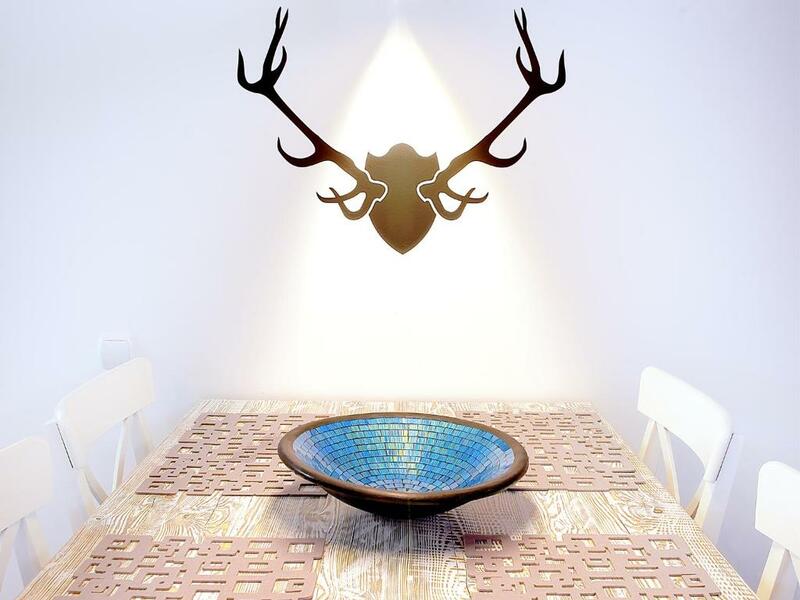 Nice interior decoration. Friendly helpful owner. Balconies with enough space. The room facilities were all top notch and branded goods and appliances. Under floor heating was brilliant but sometimes too much and couldn't work out how to cool it down. Probably a good thing though with 2ft of snow outside. Very comfortable settee and sitting area with netflix on the TV so overall very impressed. Owners and their son Peter are very nice people. Apartment was perfect, just like in pictures. Well-equipped with almost everything one can think about - fireplace woods, washing machine, great coffee maker, dishwasher, hair-dryer, Netflix and more. 10 minutes walk from city center. Garage for parking the car. The view from the balcony, the fireplace, the windows were soundproof such a quite place amazing location and amazing hosts. 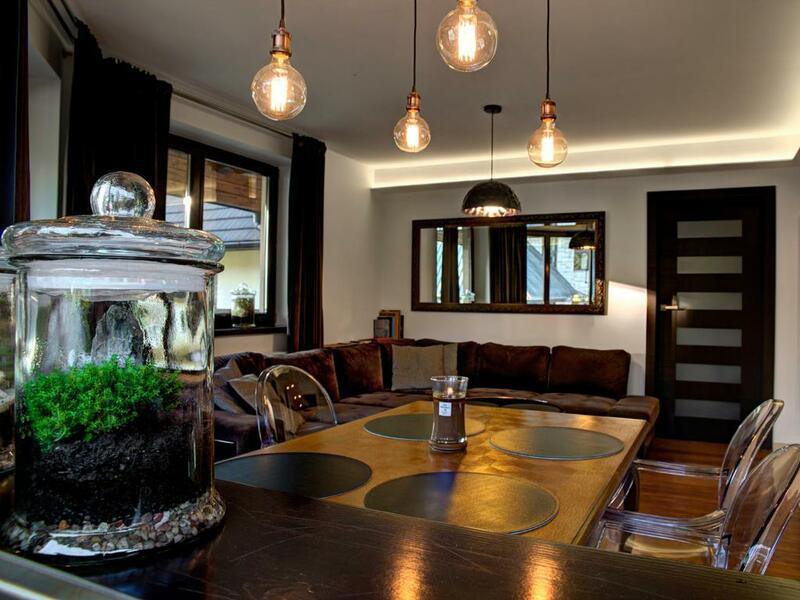 Modern and cosy apartment with a very good sence of style. Well equiped, with garage and wonderfull view to the mountains. Peter was very nice and helpfull. The house owner Peter is so kind and helpful. He always replies lmy enquiry promptly and arrange the pick up for us. I feel so happy to stay there. It makes my holiday in Zakopane adsolutely perfect! 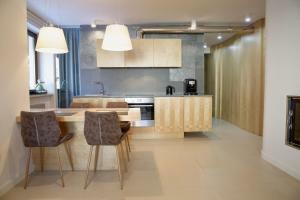 Beautiful, modern apartment located only few minutes walk from the main Krupowki street. There were washing machine,coffee machine and fireplace in the apartment. It was extremely clean and the owners were so nice and friendly. Underground parking is very convenient. 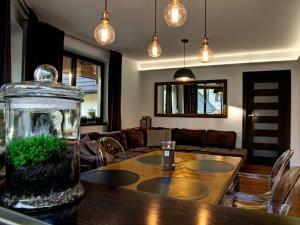 Just perfect place to stay in Zakopane. 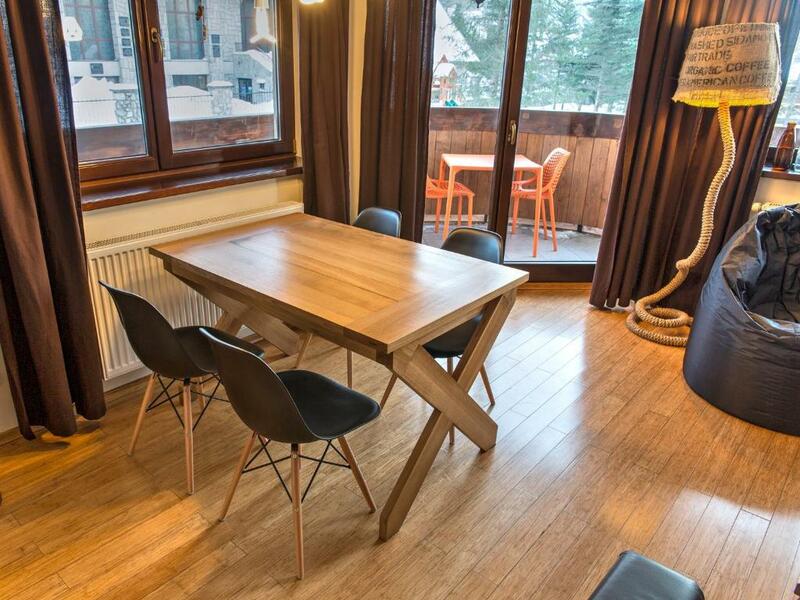 Lock in a great price for Apartamenty Snow & Fun – rated 9.9 by recent guests! One of our top picks in Zakopane – and a guest favorite. Apartamenty Snow & Fun is a self-catering accommodations located in Zakopane, 2,950 feet from Krupówki Street and 1 mi from Nosal Ski Elevator. 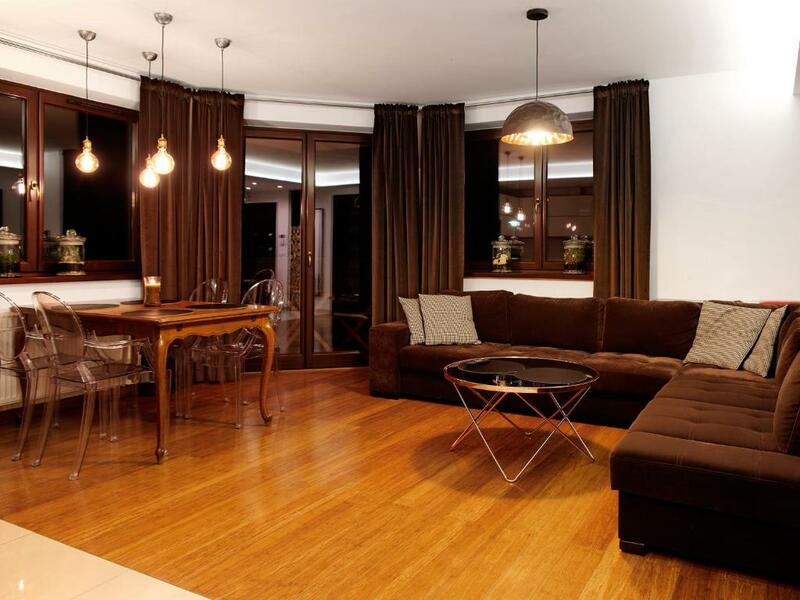 The bright and modern apartments here will provide you with a flat-screen TV and a terrace. There is a full kitchenette with a microwave and a refrigerator, as well as a coffee machine with a coffee grinder and complimentary coffee. Extras include teas and handmade sweets. Featuring a shower, private bathrooms also come with a hairdryer and towels. You can enjoy a mountain view and a garden view. At Apartamenty Snow & Fun you will find a garden. Other facilities like ski storage are offered. 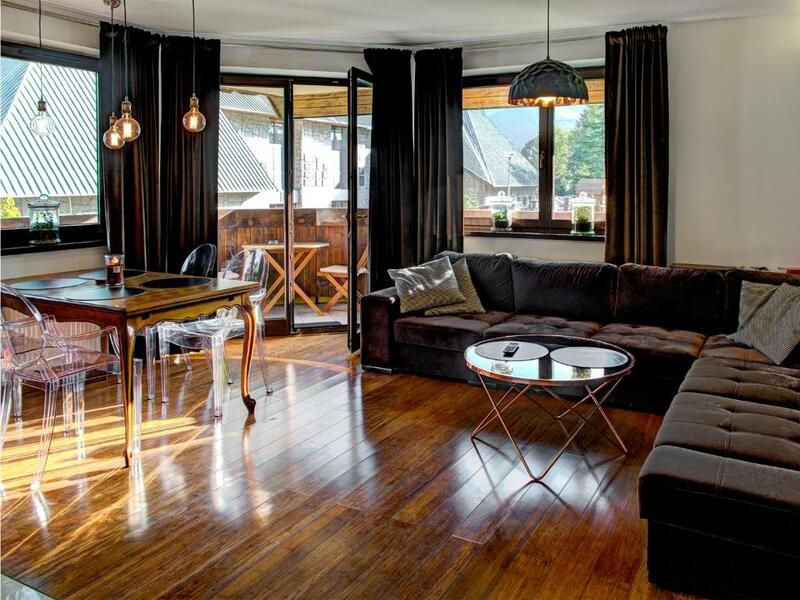 It is 0.9 mi from Apartamenty Snow & Fun to Zakopane Train Station. Kasprowy Wierch Cable Car is 1.9 mi from the property. This property is also rated for the best value in Zakopane! Guests are getting more for their money when compared to other properties in this city. 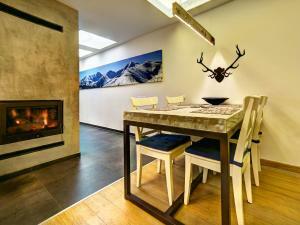 When would you like to stay at Apartamenty Snow & Fun? This suite has a tile/marble floor, fireplace and private entrance. This apartment features a microwave, electric kettle and dining area. House Rules Apartamenty Snow & Fun takes special requests – add in the next step! A PLN300 damage deposit is required on arrival (around USD78.27). This deposit will be fully refunded at check-out, as long as there isn't any damage to the property. Apartamenty Snow &amp; Fun accepts these cards and reserves the right to temporarily hold an amount prior to arrival. Apartamenty Snow & Fun accepts these cards and reserves the right to temporarily hold an amount prior to arrival. Please inform Apartamenty Snow & Fun of your expected arrival time in advance. You can use the Special Requests box when booking, or contact the property directly using the contact details in your confirmation. A damage deposit of PLN 300 is required on arrival. That's about 78.27USD. You should be reimbursed on check-out. 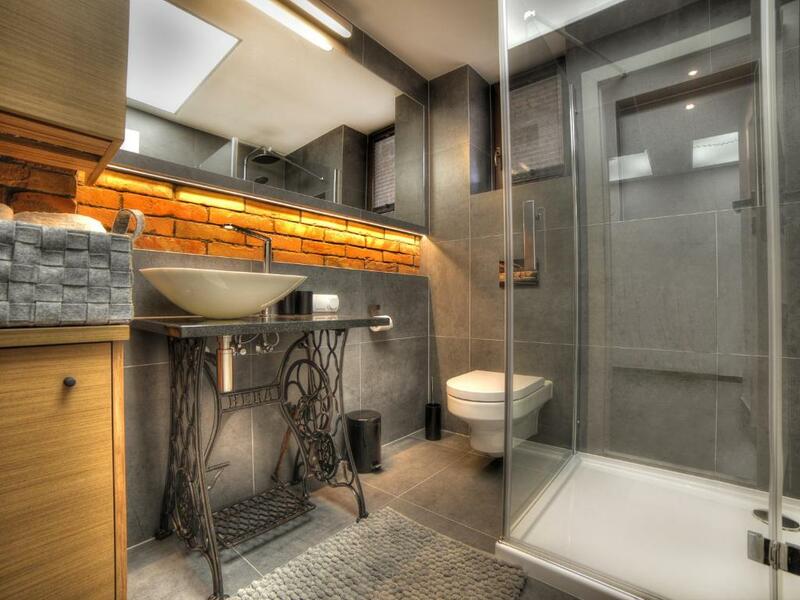 The hot water is shared between the central heating of the house and the bathroom, so each time the central heating is on the water in the bath gets cold, so you might get cold showers from time to time. The pillow are too soft and flat. No shampoo and soap in shower (but I'm sure that they would have supply it upon request or just forgot it). More coffee beans for the coffee machine could have been nice. The apartment was true to the pictures on the website, very clean, comfortable, cozy, spacious (we travelled with our 3year old son), big balcony, close to the city center. For us was very important that kids are welcomed. You have also access to garden. The communication with the host - perfect. We appreciated the garage in the basement (no need to clean the snow during winter time) :-). The host provided us also wood for the fireplace, without extra charges. All in one we would choose this apartment for our stay again.